Further fishy fun on Posterngate at Number 9, I think. 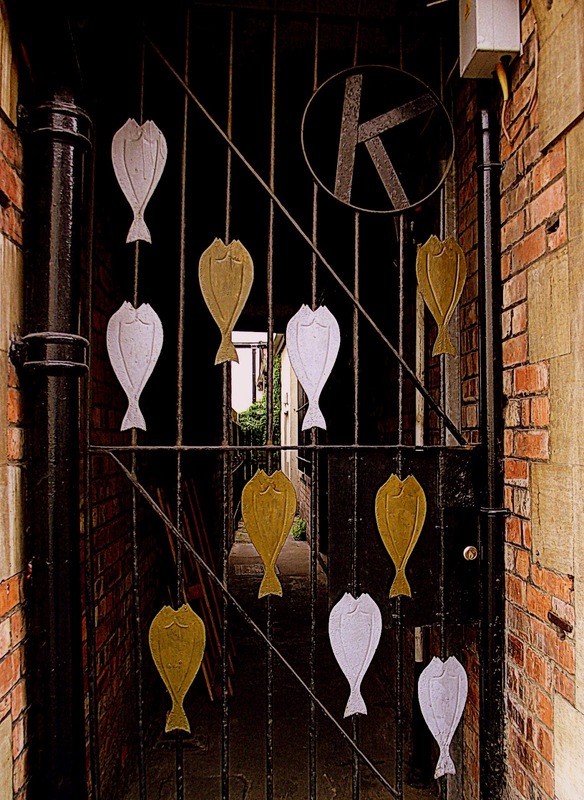 Regular readers will be aware of the Hull fish trail. Well here’s another one for the collection, a rather sad looking shark, and I think it’s the biggest on the trail. It’s on Whitefriargate near the ugly brute I posted a while back. 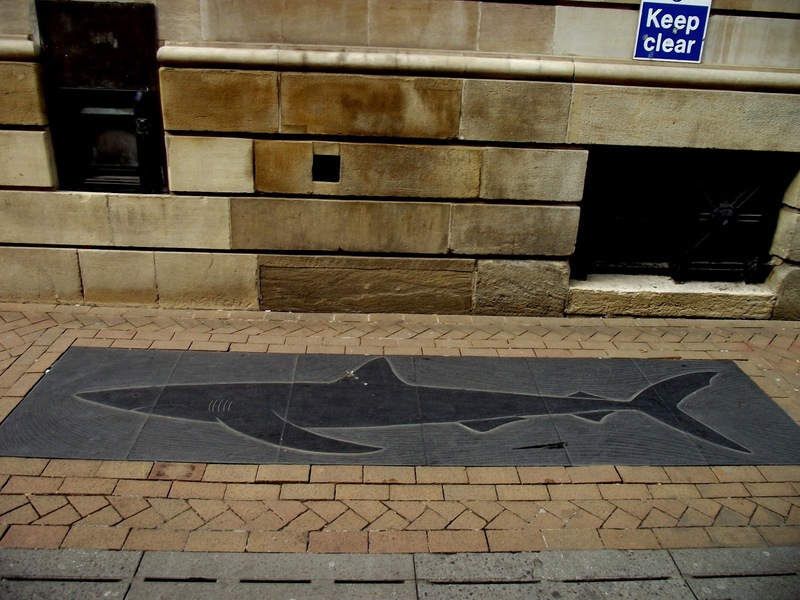 This shark is carved from slate and was originally in the middle of Whitefriargate but was damaged by a heavy truck. It’s now repaired and out of harm’s way, appropriately outside the HSBC building. It’s been a while since I mentioned Hull’s fish trail so I thought it might be safe to venture back into the water, as it were, that is until I came face to face with this gurning brute. 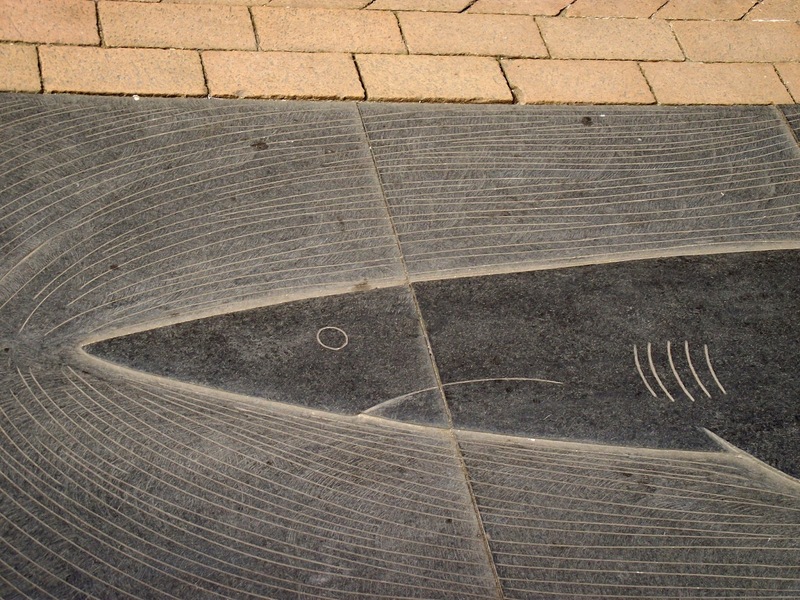 This monkfish was made in 1992 or thereabouts by Gordon Young out of black carboniferous Belgian limestone. I think that’s just about all you need to know about it. Oh yeah it’s lurking at the end Whitefriargate , you have been warned. Umbers by the Humber, ah well. 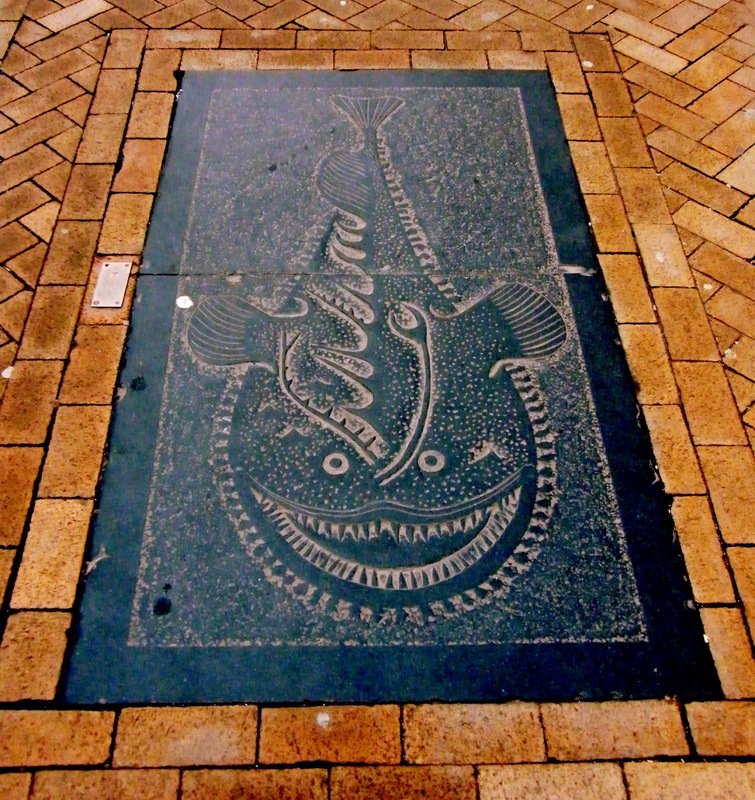 This is yet another part of the seemingly endless fish trail that winds round the town and pops up when you least expect it. 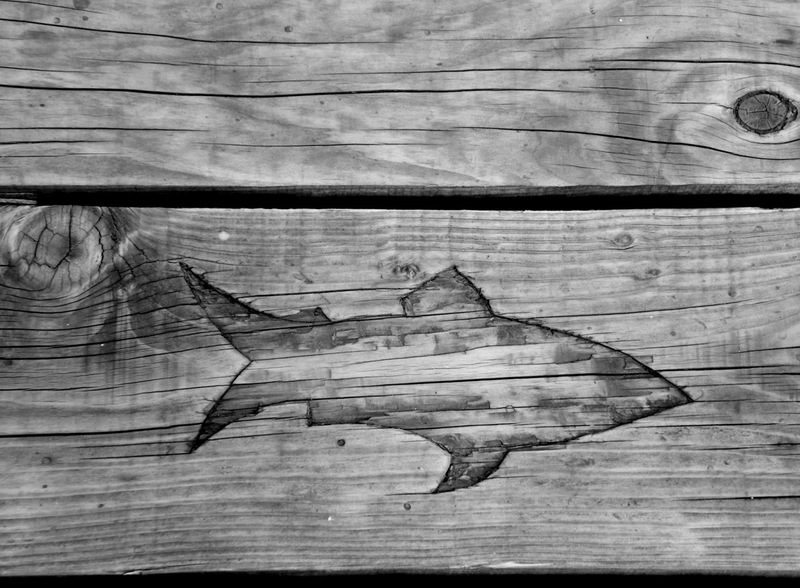 This is part of a small shoal carved into the planks of Victoria Pier. 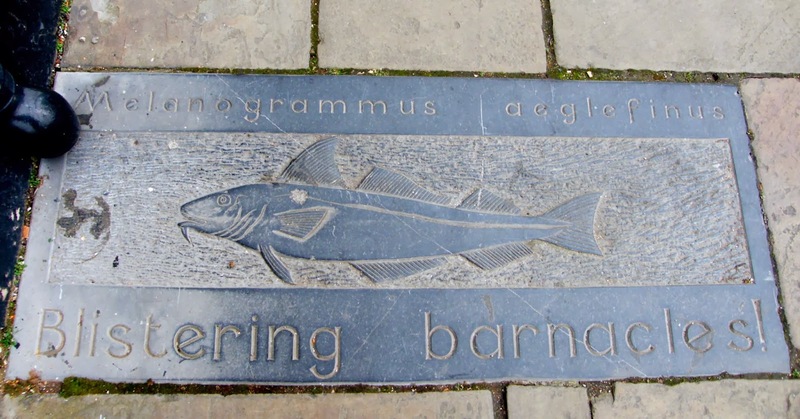 You may know umbers as grayling, but “grayling by the Humber” doesn’t quite do it, does it? The Weekend in Black & White goes on here. For those interested in football Hull City lost (2-3) to Arsenal in the FA Cup yesterday. 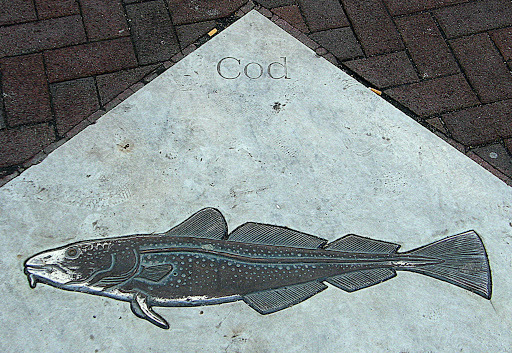 Another in the long running non-series of fishy footpath plaques [ 1 ]; this one near the Minerva. Devotees of a well known Belgian cartoon character will no doubt recognise the catchphrase and so identify the fish. 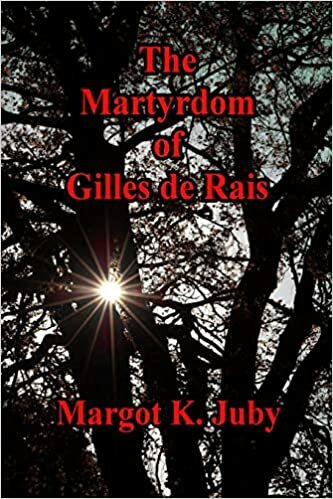 Others can look up the Latin. After yesterday’s mammoth posting here’s something simpler. 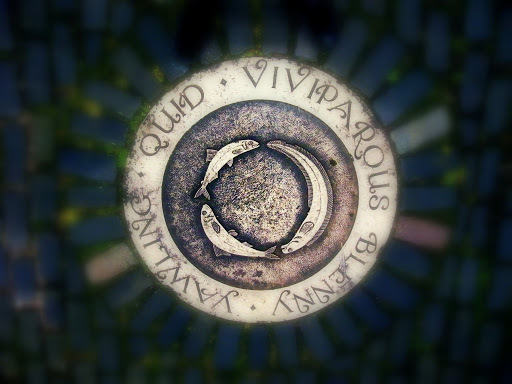 Here’s another of those piscatorial pavement plaques, this one lies near to the Hull hole at the end of Whitefriargate.